A set of two dead horses, perfect for placing around town. 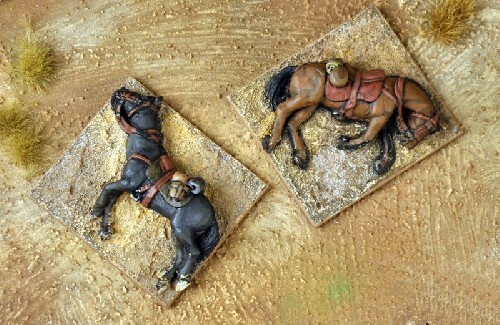 Each horse has a saddle and equipment on it. Figures from the North Star 1866 range.